The snow this week has led to great skiing conditions; Northstar is seen here Tuesday. AVALANCHE WARNINGAn avalanche warning will be in effect for the greater Truckee-Tahoe region from 4 p.m. Tuesday through 7 a.m. Thursday, according to the Sierra Avalanche Center.Click here to read and learn more. Both a winter storm warning and an avalanche warning remain in effect across the Tahoe-Truckee region Wednesday, according to the National Weather Service in Reno. All schools are closed Wednesday for the Tahoe Truckee Unified School District, as well as Incline Village schools on the Nevada side of Lake Tahoe, according to both districts. A change in weather later Tuesday to more mild temperatures saw snow turn wetter. According to NWS, as of 4 a.m. Wednesday, Reno-Tahoe International Airport had about one-third inch of rain. Mt. Rose-Ski Tahoe reported 18 inches of new snow overnight at upper elevation, while Diamond Peak reported 12 inches. The lower you go, however, the wetter it becomes, and rain is falling as of 7 a.m. in some Truckee-Tahoe locations. As of a 4:25 a.m. PST update from NWS, an additional 6 to 12 inches of snow is possible by 4 a.m. Thursday at lake level, with 1-2 feet of snow likely above 7,000 feet. Wind gusts of 45 mph — and up to 100 across Sierra ridge tops — will make for dangerous driving conditions throughout the region, so motorists are encouraged to drive safe, or stay off the roads. 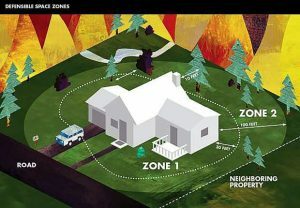 Visit http://www.dot.ca.gov/hq/roadinfo/tahoe.htm to stay up to date with road conditions. The avalanche warning will remain in effect for the Lake Tahoe Basin and much of the northern Sierra Nevada until 7 a.m. Thursday, according to NWS. The original story strings are below. The National Weather Service in Reno has upgraded the next winter storm to be even stronger. According to NWS, a winter storm warning will be in effect from 10 a.m. Tuesday through 4 a.m. Thursday. In all, 12 to 24 inches of snow is expected at lake level, with 2 to 4 feet likely above 7,000 feet at certain areas. Wind gusts of 45 mph at ground levels, with gusts approaching 100 mph across Sierra ridges, will compound the storm and make travel throughout the region difficult. This snow is in addition to the 1 to 3 feet of snow that has fallen throughout the region since Monday morning, according to NWS and regional ski resorts. Snow-motion in #truckee #tahoe #tahoesnow #tahoesnaps #truckeesnow #powder #keepitcoming ??☃️❄️?⛷? The heaviest snow has fallen on the West Shore, with Homewood Mountain Resort already reporting 35 inches as of Tuesday morning. Meanwhile, Squaw Valley, Alpine Meadows and Mt. Rose Ski Tahoe all are reported 30 inches, with 27 inches recorded at Northstar. The weather has forced the closure Tuesday of all schools in the Tahoe Truckee Unified School District; across the state line, meanwhile, Incline Village public schools are on 2-hour delay, according to the Washoe County School District. The original story string from Monday is below. TRUCKEE. Calif. — Mother Nature is off to a fine start to the year 2017, bringing a series of snow storms that figure to cover ski resorts in plenty of powder this week. 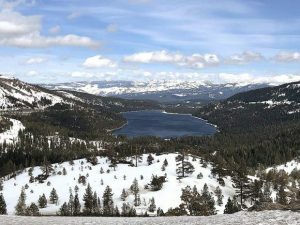 The Tahoe-Truckee region is under a winter weather advisory until 10 a.m. PST Tuesday, according to the National Weather Service in Reno, before a winter storm warning kicks in from 10 a.m. Tuesday to 4 a.m. Thursday. As of 9 a.m. Monday, the region is being pelted with several inches of snow, making for dangerous driving conditions across Sierra passes; chain controls are in effect across all major highways. According to NWS, a foot of snow has already fallen at upper mountain at Mt. Rose Ski Tahoe, wth 6 inches at the base. 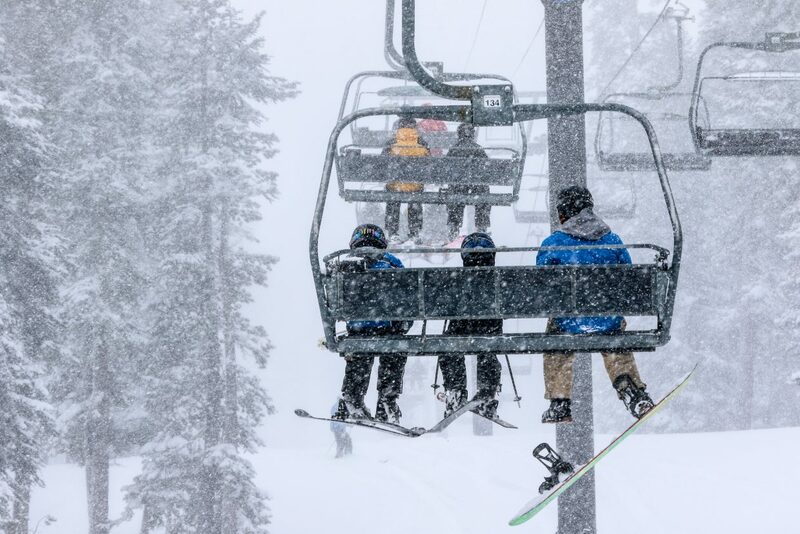 Elsewhere, 10 inches has fallen at upper mountain at Homewood, with 8 inches up top at Sierra-at-Tahoe ski resort. According to NWS, 10 to 20 inches of snow at higher elevations west of Highway 89 could fall by Tuesday morning, with 10 to 15 inches likely in the Northern Carson range near Mt. Rose. Five to 10 inches are likely at lake level. The second storm is expected to bring an additional 2 to 3 feet of snow above 7,000 feet, according to NWS, with 12 to 18 inches likely at lake level. Throughout the stories, wind gusts of up to 40 mph may result in areas go blowing snow, with reduced visibility and periods of whiteout conditions. “Winds will be over 60 mph for exposed ridges,” according to the weather service. Motorists should prepare for the most dangerous of driving conditions, and if possible, avoid travel altogether.